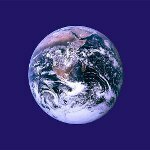 International Mother Earth Day is an annual global observance held on April 22. It was established in 2009 by the United Nations General Assembly. However, the tradition of celebrating Earth Day on April 22 began much earlier. Earth Day is a worldwide event dedicated to environmental protection. In numerous countries, the celebration has been extended for an entire week dedicated to activities that focus on environmental issues. It is referred to as Earth Week. Earth Day was first celebrated on April 22, 1970. It was founded by US Senator Gaylord Nelson and coordinated by environmental activist Denis Hayes. In 1990, Earth Day went international. It was celebrated by about 200 million people in 141 countries. In 2000, Earth Day first used the Internet as its principal organizing tool. It was celebrated by hundreds of millions of people in 183 countries. The main event in the United States was hosted by Leonardo DiCaprio. It was attended by around 400,000 participants despite the cold rain. The celebration of International Mother Earth Day was proposed by Bolivia and supported by over 50 UN member states. It recognizes the Earth and ecosystems as home for all living beings found in nature and focuses on rebuilding troubled relationship of humanity with nature. It is worth mentioning, that there also is Equinox Earth Day celebrated on the day of vernal equinox.